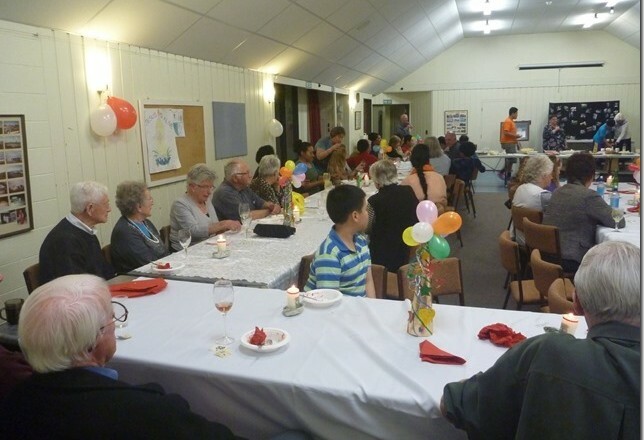 St Thomas More Parish Napier celebrated twenty years of Passionist Family Groups in the Parish on the weekend of the 2-3 August. Linda and Paul Darbyshire, the Diocesan Coordinators joined us for the weekend. 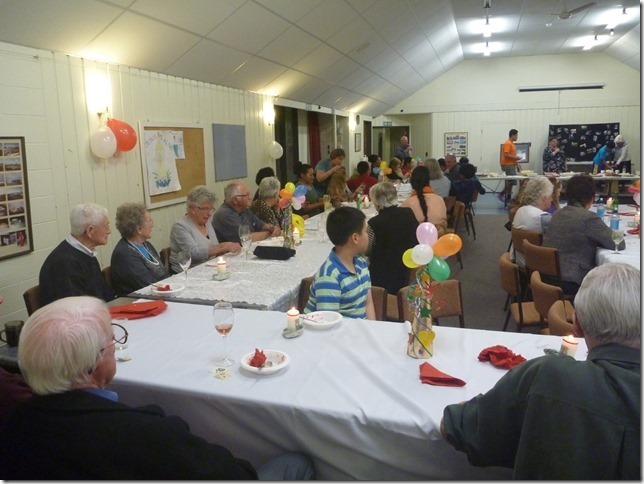 On Saturday evening a dinner was held and was attended by over ninety people including Fr John Dykes who had been the Parish priest when the movement started. A candle was lit and a short memorial was held to remember those who had died but live on in our hearts. Between courses people shared favourite memories with the groups. There was a lot of laughter as incidents were recalled of outings and weekends away. Sunday Mass was the special liturgical celebration of the event and Fr Peter Head sm spoke of the loaves and fishes in relation to how the Passionist Family Groups feed the people. Linda and Paul presented the parish with a miniature of the Icon painting and a special candle. 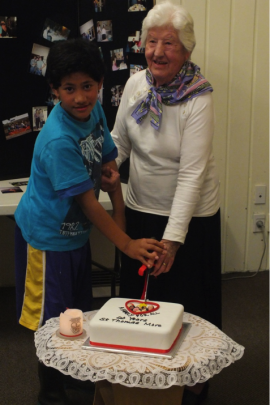 The celebrations concluded with a special morning tea for all parishioners.